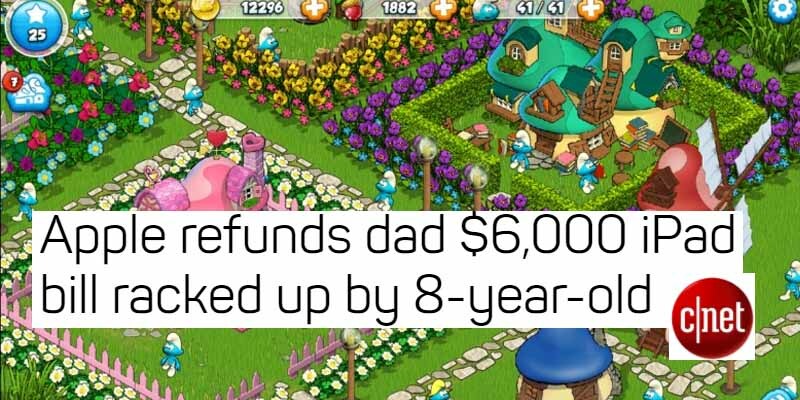 Lily Neale from Sommerset, UK seemed like your average 8-year-old girl who liked to play iPad games like My Horse, Smurf’s Village, Hay Day, Gymnastics Events, and Campus Life, but then she racked up a $6000 microtransaction bill on her father’s credit card after watching him enter his Apple Store password. It took her five months of playing to accumulate that much, but most of it was charged in a 6-day span. The Neales were faced with having to sell a few vehicles to cover the costs of little Lily’s purchases, after Apple initially refused to give them a refund. Finally, Neale told his story to the media, and Apple caved. No word on whether they got their vehicles back.